Click on the name below a mugshot to see a news story about the related arrest or court appearances. 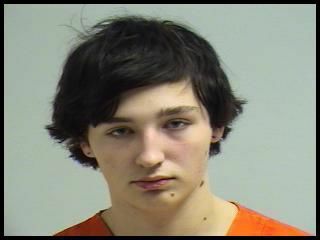 A 17-year-old Reedsburg male has been arrested for allegedly repeatedly sexually assaulting an eight-year-old girl he was babysitting. Riley Roth was arrested on Saturday and taken to the Sauk County Jail, where he is being held on $25,000 cash bail. A member of the Columbia County Dive Team backs into the water during the search for a 13-year-old boy who went missing in Silver Lake late Sunday afternoon. The team was joined by the Sauk County Dive Team, Department of Natural Resources, Columbia County Sheriff's Office, Portage Police Department and Portage Fire Department. An ongoing problem in the search was the combination of soft soil and thick vegetation in the area where the boy was thought to have gone in.